Looking for a clean, well-cared for 2008 Chevrolet Equinox? This is it. Gone are the days of SUVs being the size of a tank and handling like one. This Chevrolet Equinox is a perfect example of how SUVs have evolved into vehicles that are as refined as they are rugged. 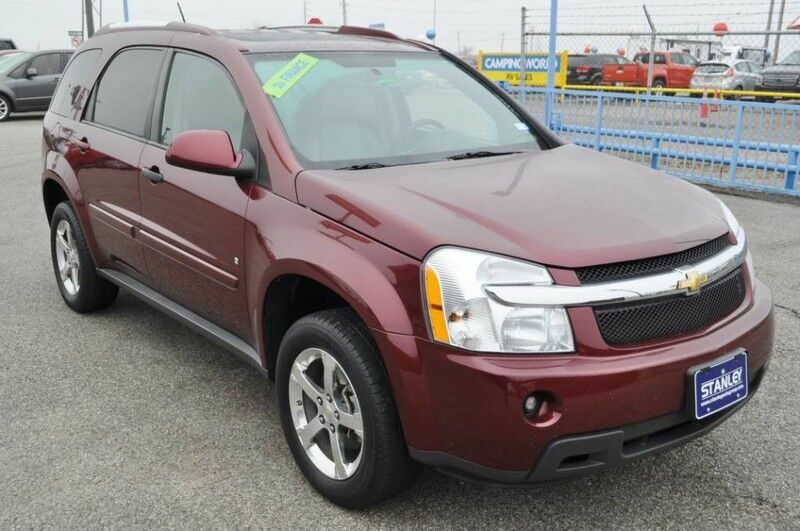 The Equinox LT is well maintained and has just 116,563mi. This low amount of miles makes this vehicle incomparable to the competition. This is the one. Just what you've been looking for. KBB.com says Equinox is a major player, a vehicle larger than the redesigned Escape. Cars.com ranks it a 4.2 noting pluses in room and ride comfort. More information about the 2008 Chevrolet Equinox: The 2008 Chevrolet Equinox is one of only a few compact sport utility vehicles with a standard V6 engine, and it also stands out for its flexible and well-designed interior. It ranks as one of the more affordable compact SUVs in LS or LT trim, and with the new electronic trailer sway control, it's one of the better-equipped small SUVs for light-duty towing such as a small boat or pop-up trailer. Interesting features of this model are maneuverability, Flexible, roomy interior, and standard V6 in a compact SUV.